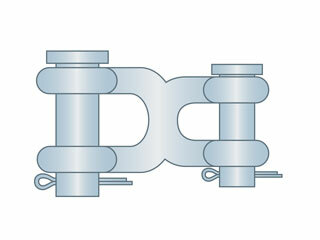 For quick chain leg connections and in-field chain repairs, keep Double (twin) Clevis Links on hand. 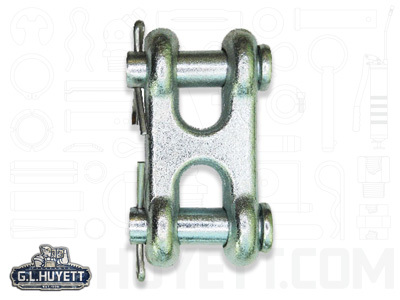 Forged using 1045 carbon steel and zinc plated for corrosion resistance, these links make connecting and disconnecting towing and safety chains, rings, end links, eye hooks, eye bolts without welding. Note: not intended for overhead lifting applications.